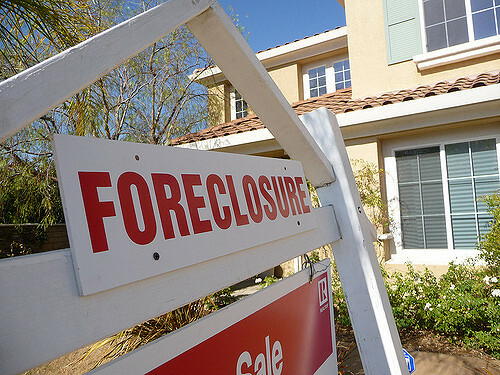 When you hear foreclosure stories, it seems like the financial crisis is not over yet. People are helpless mainly because Maryland ranks among the top 5 foreclosure markets in the US and also because helpful information is not available on this topic. Residents of Maryland are not aware of the foreclosure process and its consequences. Many of us assume that a foreclosure is inevitable once we get the default notice which is not true. A default notice just declares the “intention to foreclose” your home. That means you can save your house if you take proper action. This article is all about the solutions to save your house from foreclosure. You can immediately stop the foreclosure if you pay back the pending loan installments with interest. Our research and experience show that many households have assets that can be sold to reinstate the mortgage. It might be necessary to sell your vehicle or a luxury (jewelry) item. If you took an FHA loan, you might be eligible to borrow a secondary loan for up to $10,000. Loan forbearance works only if you are facing temporary financial hardships such as job loss. You can request loan forbearance before you have missed a loan installment. Talk to your lenders and discuss the length of the forbearance period. At the end of the forbearance period, you are required to submit all payments at once, or the due amount will be added to the mortgage plan. The lenders will extend the mortgage duration, or a portion of pending amount will be applied to your monthly installments. Mortgage modification is the act of changing your mortgage plan to enjoy lower interest rates and lower monthly payments. You see, forbearance and reinstatement work only for temporary problems. If your income has shifted permanently, then you must apply for the mortgage modification. While loan modification is a great tool, it has low chances of success. Lenders will only approve your application if they believe that the loan is truly unaffordable. Filing bankruptcy is not recommended unless it is your last option. Depending on your situation, you may be required to file for chapter 13 or chapter 7 bankruptcy. Chapter 7 is also known as the liquidation bankruptcy. The chances are that your home will be sold to pay off your debts. For chapter 13 cases, you must propose a repayment plan that will help you pay your mortgage payments. Please consult a bankruptcy attorney for professional advice. If you need immediate assistance, our expert team can provide a free consultation. To redeem your mortgage, you must pay all the money you owe to the lender. You can achieve this purpose by refinancing your loan or by taking a second mortgage on your house. You have time until the foreclosure date to redeem your loan. If you do not want to keep your home and would like to get rid of the financial burden, then it is best to sell the property before foreclosure. You can sell your house with dignity without having to see your property sold at a foreclosure auction. A pre-foreclosure sale saves your credit history and removes your financial obligation to pay the loan. Another alternative to foreclosure is the “deed in lieu of foreclosure.” Your lender may present this option where you agree to give back the property to the bank. However, this choice has same consequences as of foreclosure. Your credit score will drop by several hundred points, and you might not be able to get a new mortgage for next 7-10 years. At this point, you need someone who can purchase your home before the foreclosure. You need a cash buyer who can also negotiate with the lenders. SIx Marks Group is a residential redevelopment company operating throughout the Maryland, Virginia and Washington DC. Our company provides real estate solutions to distressed property sellers. Six Marks Group is connected to a national group of investors. We can assist you with the pre-foreclosure sale of your home. Our firm will purchase your house as-is, for a cash price within ten days. Contact us now for a free consultation to stop property foreclosure on your house.